Daniel raises an important question, and that has to do with divine sovereignty. Now, I come to this conversation with a view influenced by Open Theism. I don't believe that God determines all that occurs in history. I don't read the prophetic moments in scripture in such a deterministic way. At the same time, there are lessons here that should be learned. That lesson is the one revealed in the dream and interpretation. No empire is eternal. It is a word we should consider in our day. Might this dream be a warning to us, as we see the United States show signs of decay and declining power? Could our embrace of nationalism (as opposed to patriotism) be a sign of such decline? 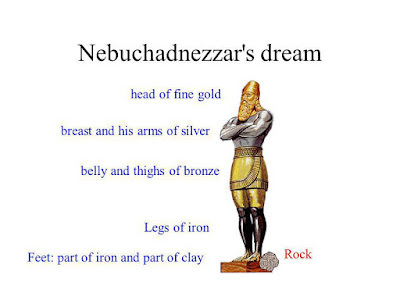 Nebuchadnezzar may have been spared, but his successors might not. Cyrus might reign on high, but his empire would be pushed aside by Alexander. While Alexander achieved immense power in a short amount of time, his empire quickly devolved into rival states. My sense is that the author had these rival empires, especially the Ptolemaic and Seleucid kingdoms in mind. In time they would fall to Rome, and Rome itself would fall. Through it all, God remains true to purpose, and God's realm does as well. 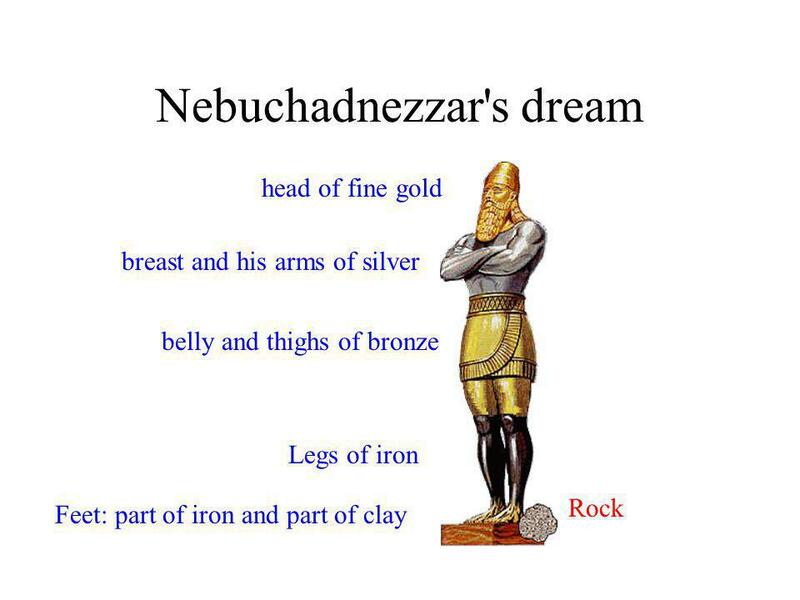 This is only one person's reflection, but what might Daniel 2 say to us today? As you contemplate this question, consider Daniel's prayer after receiving the necessary information from God concerning the dream.